This is an estate find, in a house full of antiquities & antiques that were well taken care of, and we believe the piece came from a temple in Burma a very long time ago as such antiques or antiquities have been unavailable from that country for a long, long time.. We believe this Chinthe, as we were told it is known by, was sculpted, not cast nor a hollow ceramic. It is solid and heavy. 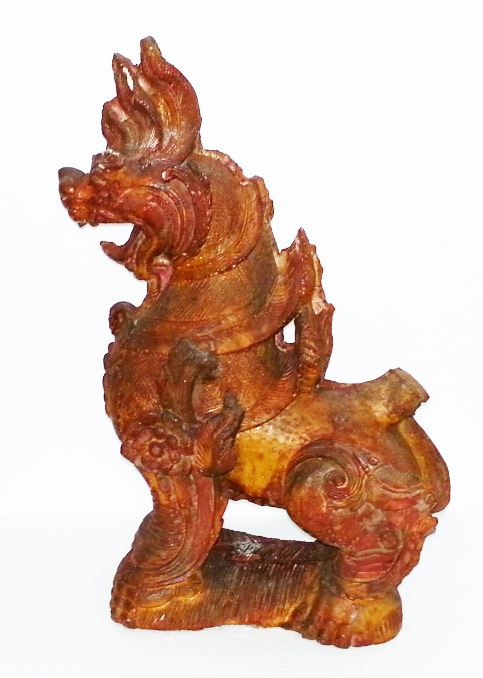 The sculpture is in very good condition for an object of this age and made of this material. It shows the normal wear, scuffing, scratches, minor dents expected on a piece of this vintage. It has some parts loss but from a long time ago. There is an old repair on the top of the piece that is unnoticeable. Please refer to the photos for more information on condition. Original & rare, and very old. It may qualify as an “antiquity”. We do not know as we are not experts on dating Asian art. It is a stunning unique piece! 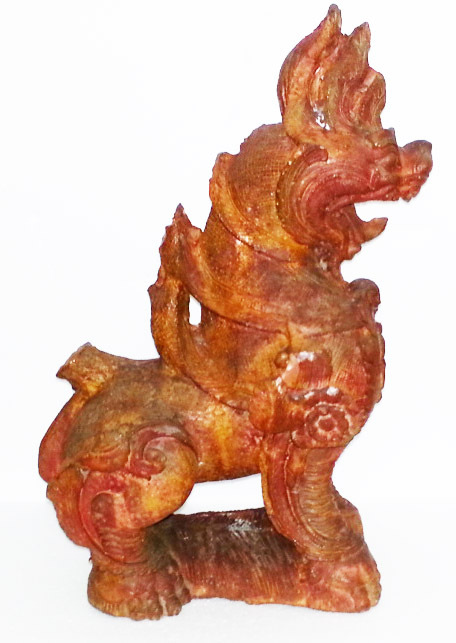 A Chinthe is a leogryph (lion-like creature) that is often seen at the entrances of pagodas and temples in Burma and other South and Southeast Asian countries. The chinthe is featured prominently on the kyat (the currency of Burma) and the Sri Lankan rupee. The chinthe is almost always depicted in pairs, and serve to protect the pagoda. They typically appear as animals, but are sometimes found with human faces. 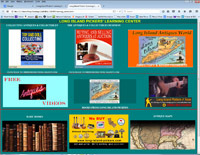 This entry was posted in BB) Oriental Antiques. Bookmark the permalink.